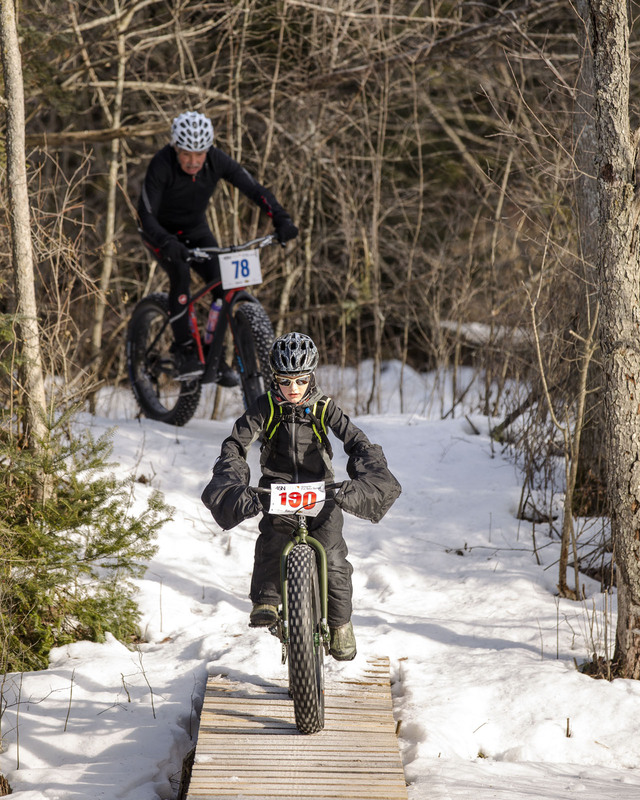 With just over a week to go things are looking great for round 3 of the 45NRTH Ontario Fat Bike Series pb Cycle Solutions. No really, the weather looks like we will get a firm base with some fresh snow for grip on top. We are hoping to have a ‘Chubby Cat.’ at this race for people with 3.0-3.8 tires. The final call on that will be at the discretion of the trail groomers who are out there all the time keeping the winter trails (and summer trails) ridable and fun for all. Check back on Wednesday or Thursday for a final call. On a related note, Team VanGo has been working for the last few years with the County and other forest users to develop a management plan for the next 20 years for Dufferin County Forest. There are some great changes in store for all of us but the county needs to hear from people who like the plan. The more positive feedback they get the more likely it will be adopted when it goes to council. So check out the plan and send positive feedback to forestmanager@dufferinmuseum.com.